I really love the idea of Mixed Architecture. Many Thai architects do not like this idea. They like to see one building in one single type of architecture. 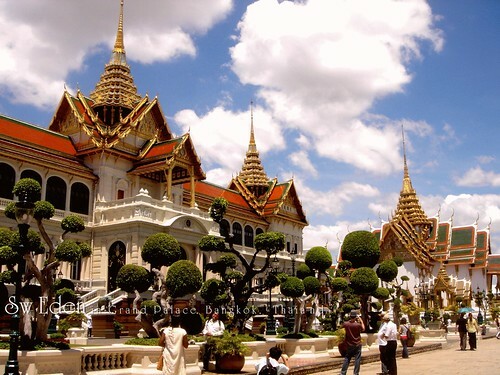 In fact, this building, grand palace, can be the greatest example of post-modern architect. Right now, post-modern is so popular. It is the mixing of modern and the ancient concept and style. Really cool idea. Post modern does not happen in just architecture and design, but it is also in Music and Literature, too.